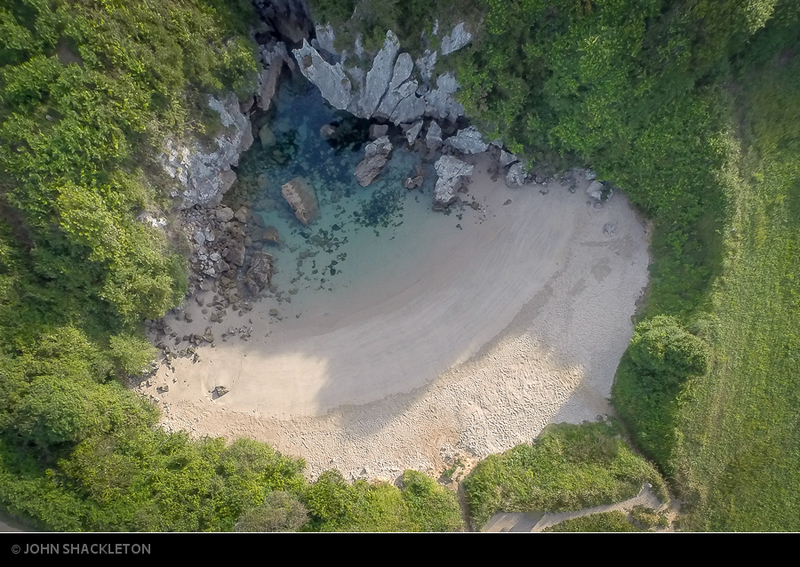 La Playa de Gulpiyuri is a small beach formed by a sinkhole from a clifftop field to the sea. Saltwater is pushed up through a tunnel creating small waves. It’s a unique place and National Monument. But it can be a busy in summer, and after a few failed attempts, we eventually decided to visit early morning in avoid any people in picture.